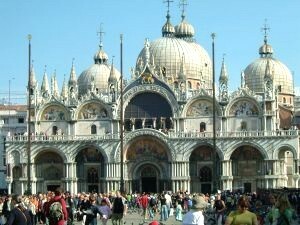 One of the world’s most beautiful basilicas with amazing decorations and stunning atmosphere. This church is the most important monuments of the town, in Byzantine style and completely decorated with gold mosaics and fabulous paintings. Weddings take place in the lower church: the Crypt, where the body of the Saint is still conserved. This magnificent church offers a wonderful romantic atmosphere for the religious ceremonies and also for those who wish to re-new their vows for a special wedding anniversary.